This jovial and spirited carol is sure to bring a smile to many faces at Christmas-time. 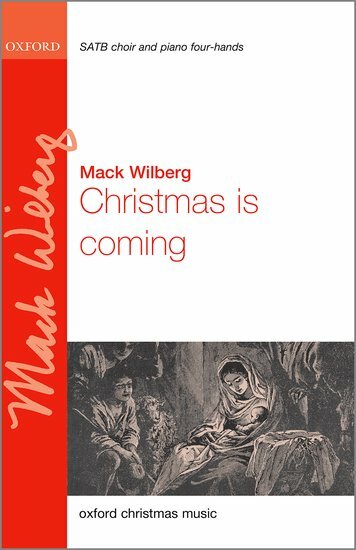 The traditional text is augmented with additional lyrics by David Warner, and Wilberg puts the melody through a wealth of festive musical treatments. Voices range from unison up to six parts, with some verses in canon, and the music goes through five different keys, keeping everyone on their toes! The piano-duet part not only accompanies the choir but adds several layers of interest and colour, with a bass drone, glittering flourishes in the upper register, and passages evoking sleigh bells. Perfect for use as a closing piece or encore in a Christmas concert.